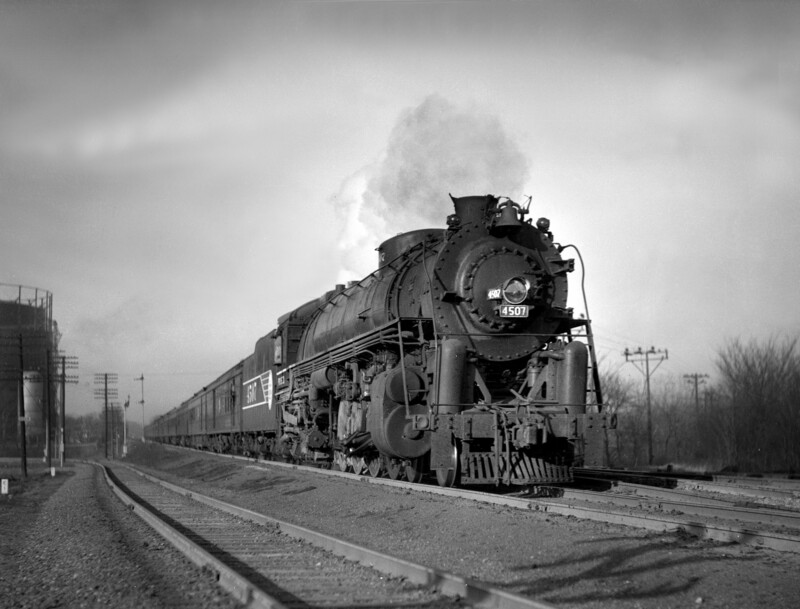 4-8-4 4507 (built 1942) Eastbound with #2, The Texas Special, with 14 cars at Southeastern Junction on March 1, 1946. U25B 825 is at the forefront of a fascinating yard scene as it arrives on Long 3 South at the Kansas Street (West Yards) in Springfield. 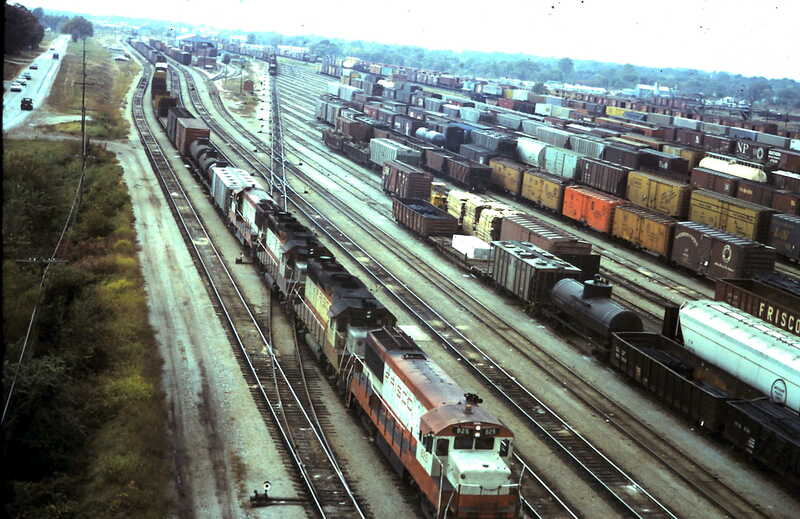 The photo was taken from the yard tower. 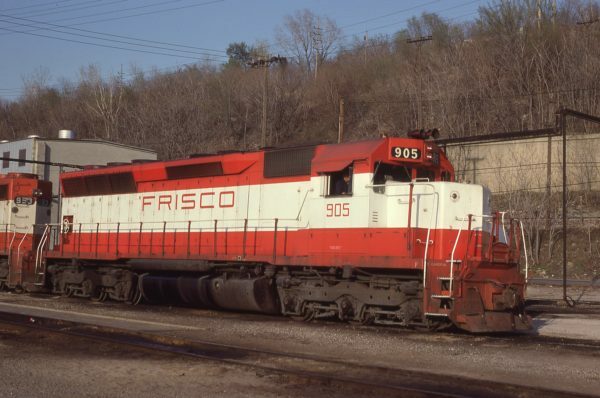 SD45 905 at Kansas City, Missouri on April 19, 1980 (J.C. Benson). 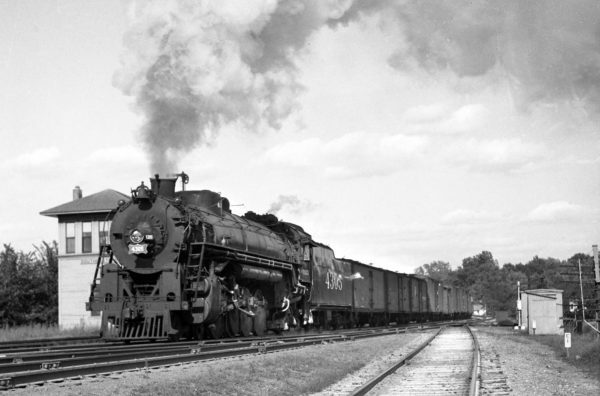 4-8-4 4501 at Southeastern Junction in 1942 (William Barham). 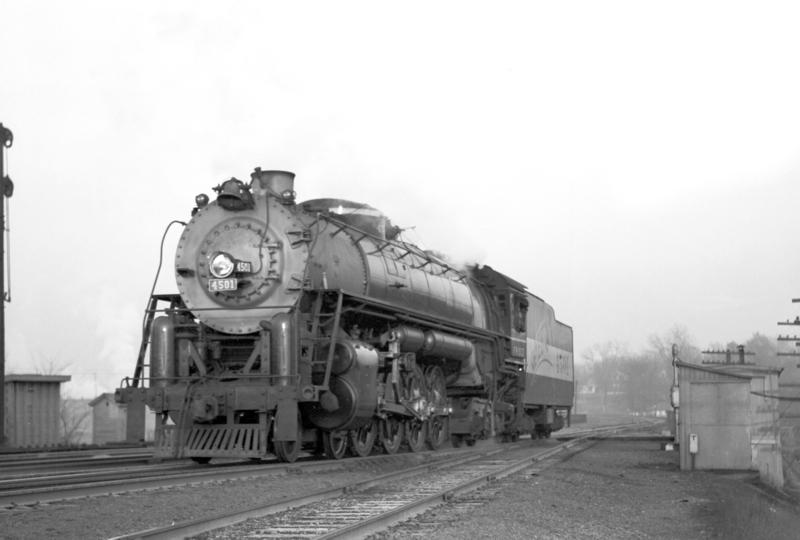 The train is picking up orders and a clearance card prior to backing down to St. Louis Union Station to bring the Meteor west on a gloomy 1942 evening. SW1500 317 at Memphis, Tennessee in March 1973. 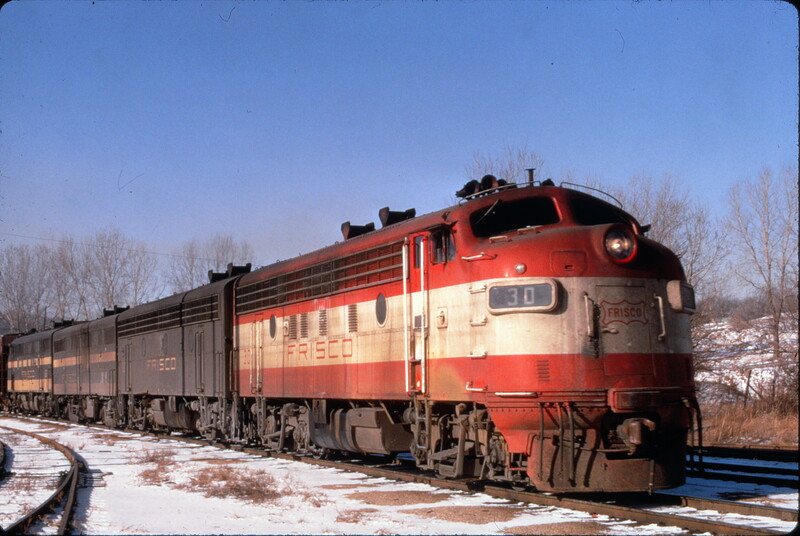 F7A 30 leads a freight train near Springfield, Missouri in January 1969 (Al Chione). 4-8-2 4305 Westbound at Southeastern Junction in 1942 (William Barham). 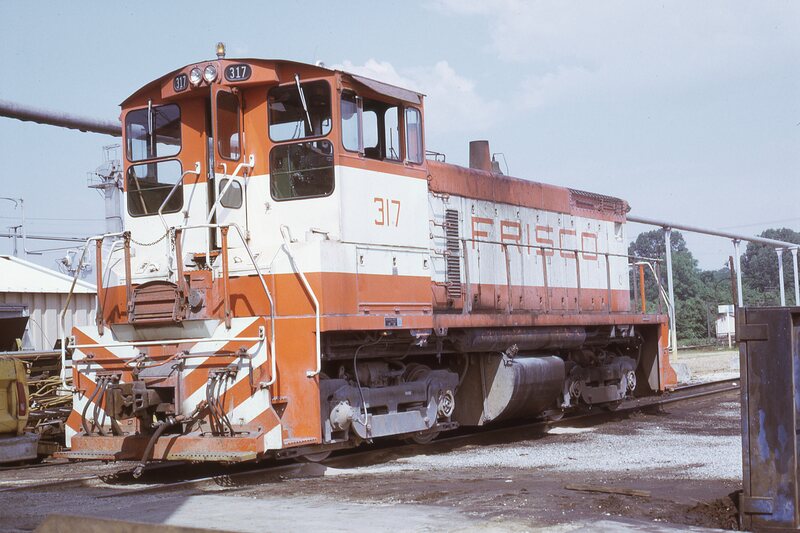 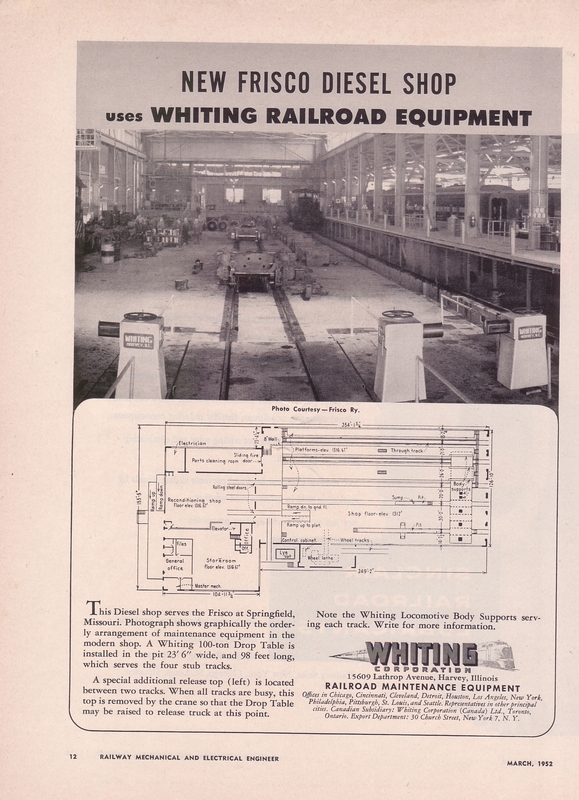 This locomotive was built at the Springfield West Shops in the late 1930s using parts from old 2-10-2s. 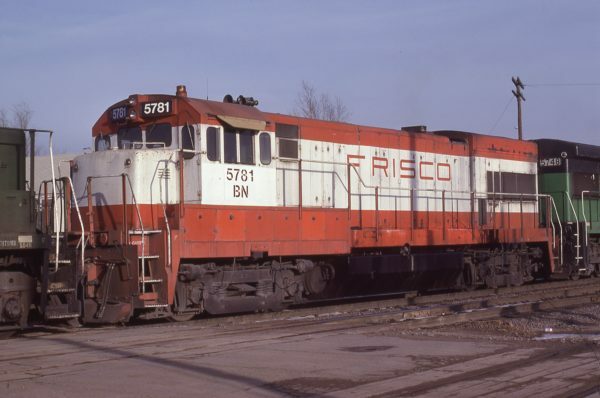 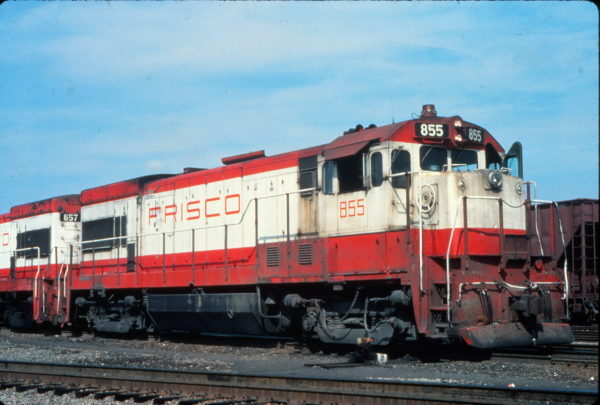 U30B 5781 (Frisco 843) (location unknown) in January 1981.